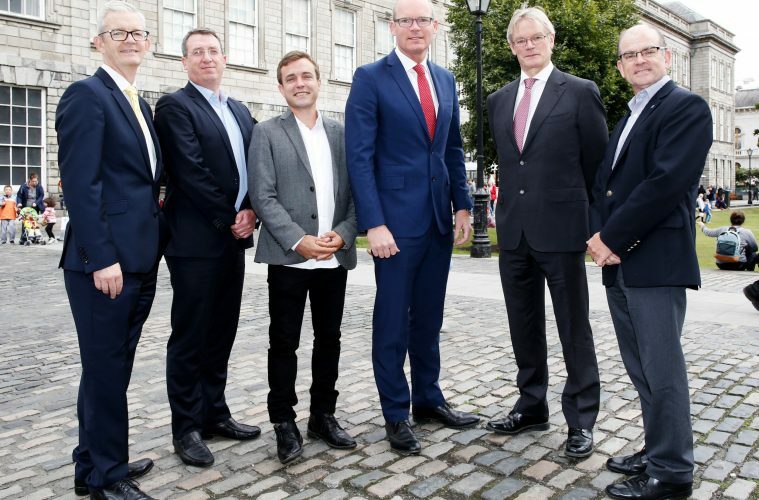 Simon Coveney T.D., Tánaiste and Minister for Foreign Affairs and Trade, today launched DataChemist, a new Dublin-based tech start-up turning enterprise data into knowledge to generate insight and improved business operations. The company already has an international client base and is working with global leaders on a number of projects aimed at extracting greater knowledge and insight from existing data sets. DataChemist is led by Kevin Feeney, who previously worked in Trinity College Dublin’s School of Computer Science, and led the international ALIGNED and Seshat research programs, which applied artificial intelligence to imposing order on vast, complex data sets and, in doing so, helped establish new connections, relationships and insights across vast swathes of human knowledge. DataChemist raised €1.2 million in an initial funding round led by Atlantic Bridge with support from Enterprise Ireland. Chris Horn, of Atlantic Bridge’s University Bridge Fund, who has joined the company as a director, was also in attendance. Data Chemist has a simple goal: to make data meaningful. DataChemist transforms the messy, inconsistent data sets of the real world into clean, structured and integrated data. Our customers improve decision-making and reduce costs as a result. DataChemist spun out of Trinity College Dublin in 2018 in order to bring a new way of thinking about data to the market, and help leading organisations find the relationships and insights in their existing data that have until now remained hidden.